I stayed at the 3City Hostel in Gdansk, Poland. I selected it for its proximity to the main train station and I booked online for a total of 42.30 PLN ($11.30 USD). When I booked I noticed there was a regular dorm room and a capsule dorm room. I’ve stayed in a capsule hotel in Tokyo but I haven’t seen the concept in a hostel so I thought I would try it for the sake of a review. The capsules are lined up against the wall and I got a top capsule. There are no ladders built in so there are ladders in the room which you have to place. I thought that was a bit weird but it was ok once you are in the capsule. There is enough room to sit up in the capsule, and it includes a light, power outlet, and a curtain. The beds are already made so that saves what would have been a fiddly job. Getting in was a bit of a pain, especially in the top one, but I found I slept well once I got used to it. In the Japanese capsules the bedhead is at the back of the capsule while this one they have set up the bed so your head is at the entrance. The room had a common bathroom down the hallway. The showers were powerful but the shower doors were odd, opening the wrong way. 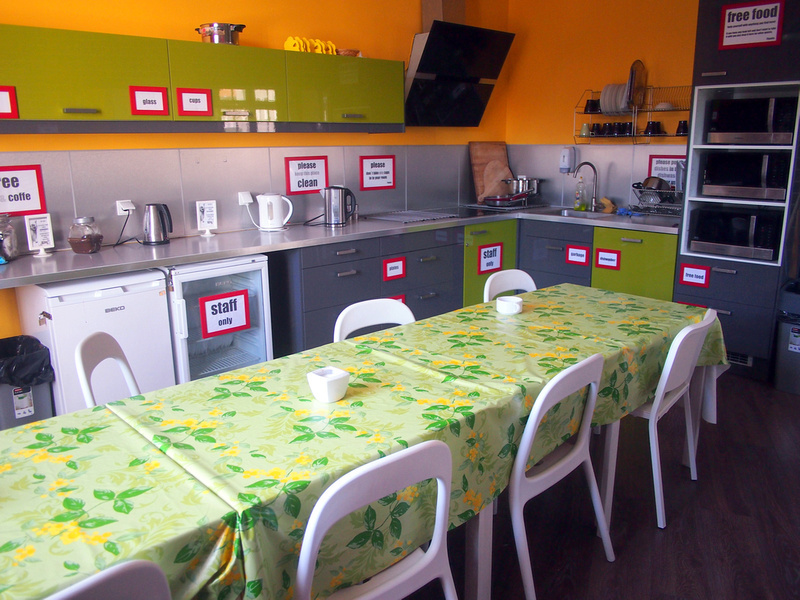 The hostel also has a big kitchen which looked well organised. I left early so didn’t see the breakfast. Next to the kitchen is the lounge and TV area. The internet was ok and connected everywhere in the property. I wanted to do some laundry but there was no laundry facilities, and none of the staff that I asked knew where to go to do some washing. The location was ideal, being a 5 minute walk from the train station, heading towards the old town area. 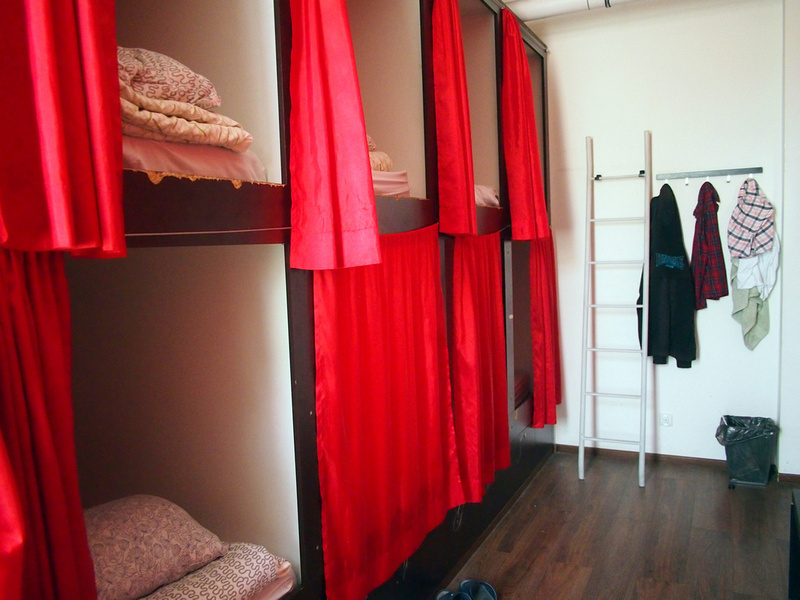 Not a bad hostel overall, but I’m not sure I would pick the capsule option over a bunk bed again. 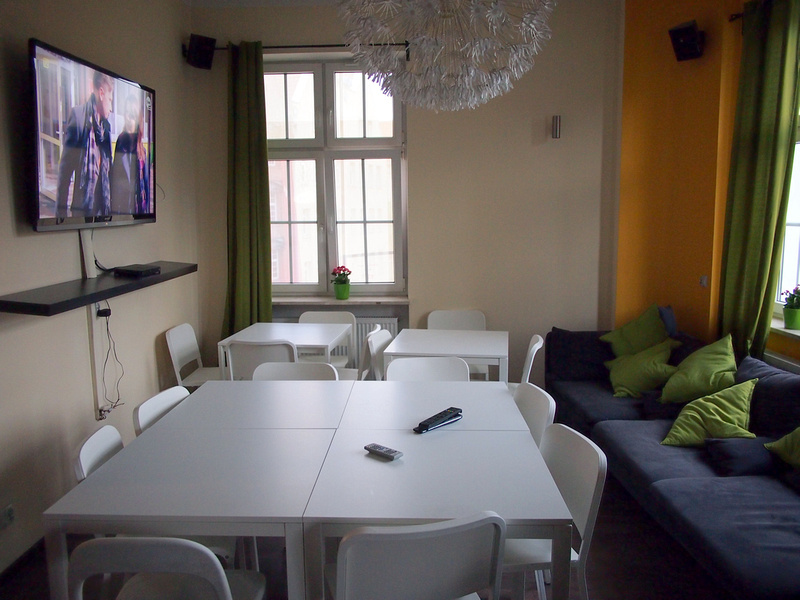 Book the 3City Hostel online or search for more hostels in Gdansk.